Osaka City University (OCU) is composed of eight faculties and ten graduate schools. OCU traces its beginnings to the 1880 founding of Osaka Commercial Training Institute, the center of commercial and industrial study in Osaka. The Institute was renamed as it developed and grew, becoming Osaka City Commercial School (1889), Osaka City Commercial College (1901), Osaka University of Commerce (1928), and finally Osaka City University in 1949. In April 2006, Osaka City University was reconstituted as a public university corporation. 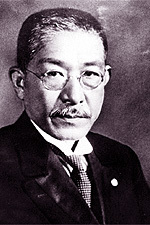 In establishing OCU as Japan's first municipal university, Dr. Hajime Seki, mayor of Osaka, set forth a distinctive vision. The new university should not be an imitation of the national universities; it should serve the needs of the citizens; it should conduct original research on the culture, economy, and society of the city of Osaka and communicate the results to the people of the city. Throughout its 70-year history, Osaka City University has faithfully adhered to this founding vision by making urban issues one of its central concerns. 2018 Board Members, Vice Presidents, etc.